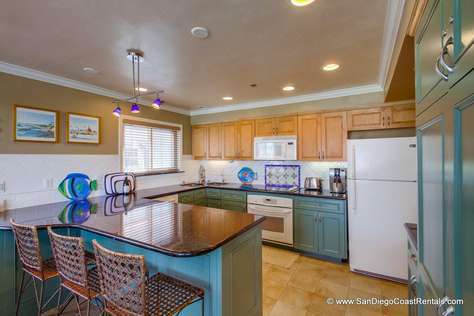 Search for Del Mar Vacation Rentals by Calling (858) 531-3247 or View San Diego Coast Rentals Properties Online. “By the sea” – that’s what the upscale vacation destination Del Mar stands for, and even though it sounds fairly simple, what you’ll find to do in the area is anything but. Whether you are looking to relax on the oceanfront, have an incredible adventure, or something in between those extremes, you will find something to do in Del Mar. Del Mar lies just a short drive north of San Diego and offers two beautiful sandy beaches and parks suited especially for children. Believe it or not, the area is also very famous for its horse racing. Hollywood celebrities helped bring the sport’s popularity to the area. The Del Mar Thoroughbred Club still hosts horse races every year from July to September. Considering moving to Del Mar? You can find oceanfront property, or oportunities further inland. Beachfront and oceanfront property is at a premium, with some of the highest property prices in the nation. But your spending, however, will be worth it! You’ll get an incredible view of the ocean, and you will have access to the luxury lifestyle that Del Mar offers. If you’re thinking of buying a home in the area, this is definitely the place where you can show off your wealth. Real estate prices are high, but the negative tides the economy have created some unique opportunities . Remember How Fun Fairs Were in the Good Old Days? If you’re a fan of fairs, be sure to attend the Del Mar County Fair. As you would expect, it offers fun for the whole family. A variety of concerts, rides, and unique food are just some of what you will find. And, not just anyone showcases their musical talents – you can expect nationally-recognized singers to provide the best entertainment around. If you enjoy wine tasting, you will definitely find plenty to do in the area. The village offers plenty of history also. 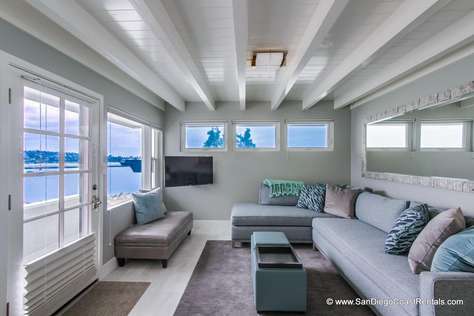 And, if you’re looking for anything else – art, jewelry, fashion clothes, or high-end dining with an unforgettable view, then you will surely find what you are looking for in Del Mar. Don’t Forget About the Lovely Climate! If you need to get away from it all for a few days too, remember Del Mar is just south of San Dieguito River and north of Torrey Pines State Park. And don’t forget, all of these offerings come along with the beautiful year-round climate! For the family one of the most exciting local attractions in the area is LegoLand. The theme park features a water-park and an aquarium. Seaworld is located 17 miles away, and the world famous San Diego Zoo is just a few mile further. If you head east of Del Mar you can reach the Safari Wild Animal park in less than 30 minutes. You can also get to Disney Land located in Anaheim by driving about 90 minutes north – its only 75 miles away!